H.E. 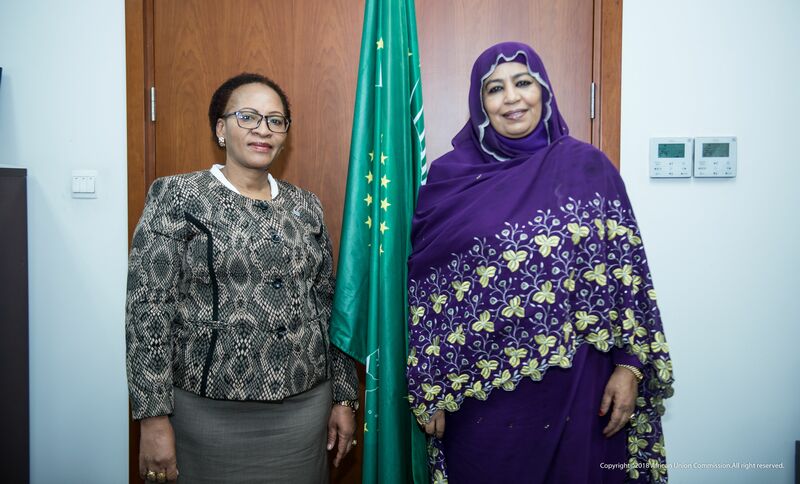 Mmamosadinyana P. J Molefe, Ambassador of the Republic of Botswana, paid her farewell courtesy calls to the Acting Chairperson of the AU Commission, H.E Amira Elfadil, and Commissioner for Social Affairs, at the Union’s headquarters in Addis Ababa, Ethiopia. Amb. Mmamosadinyana P. J Molefe expressed her government’s appreciation of the work and cooperation between the AU and the Government of Botswana. H.E. Amira Elfadil thanked Ambassador Molefe for her active participation and contributions during Permanent Representatives Committee (PRC) meetings and expressed gratitude for the cooperation that has been extended to the AU by the government of Botswana. H.E Amira Elfadil wished the ambassador success in her future endeavors.